Booster is an NZ financial services company providing KiwiSaver, superannuation and investment products. If you’re considering opening a KiwiSaver fund with Booster, check out Canstar’s latest Star Ratings for its products. Your KiwiSaver account also incurs a membership fee of $3 per month, which is deducted from your account. 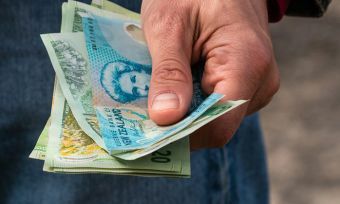 This fee is waived if you’ve had all your money fully invested in the Default Saver Fund since joining the Booster KiwiSaver Scheme, and your account balance is $10,000 or less. If you’re over the age of 65, you can only join Booster KiwiSaver if you already belong to another KiwiSaver scheme. If you’d like to open a new Booster KiwiSaver account, you can apply online. Can I manage my Booster KiwiSaver account online? Yes. You can log in to your Booster account by heading to the Booster KiwiSaver website and logging in using your details. Here you can manage your investment portfolio, monitor your balance, invest money or apply for a withdrawal. How is my money invested with Booster KiwiSaver? Your money is invested in using the investment portfolios outlined above. Since KiwiSaver is an initiative of the New Zealand Government, your funds are held by the New Zealand Guardian Trust Company (a government-owned company) on your behalf. Booster functions as the administration manager and investment advisor for your KiwiSaver fund. Can I transfer my money to an Booster KiwiSaver account? You can transfer all of your existing KiwiSaver balance into your new Booster account. Once you open a Booster KiwiSaver account, Booster will automatically transfer your balance from your old provider to your new account. Your old scheme provider may charge you a transfer fee – contact your previous provider for further information. Can I withdraw money from my Booster KiwiSaver account? 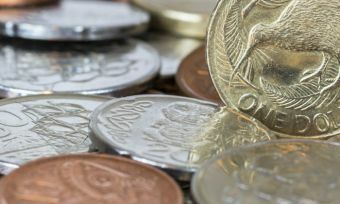 Booster was founded as Grosvenor Financial Services back in 1998, providing an investment service which soon expanded into the Australian superannuation business by 2003. Following the launch of a KiwiSaver scheme in 2007, Booster now manages the retirement savings of more than 100,000 New Zealanders and was chosen as a default KiwiSaver scheme provider – something normally reserved for big financial institutions. * Managed funds that have not been available for a minimum of five years are not eligible to receive a Canstar star rating, therefore an indicative star rating is supplied. 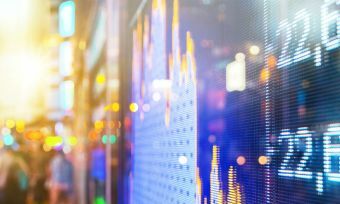 Indicative star ratings are represented as outlined stars, and provide an indication of the funds rating relative to its peers for the period for which it has been available. The Star Ratings were awarded in September 2018 based on data as at that date. To find how we rate each products read the CANSTAR Star Ratings Methodology. Data in the table is updated from time to time to reflect product changes notified to us by product issuers. Check current product details and investment options with the product issuer. These results are general advice only and not personal financial advice. Ratings are only one factor to take into account when deciding whether to make an investment. Consider the Product Disclosure Statement before making a purchase decision. The initial table display is sorted by Star Rating and then alphabetically by company. Further information is available by clicking on a icon or tab. Performance, fee and other information displayed in the table has been updated from time to time since the rating date and may not reflect the products as rated. The performance and fee information shown in the table is for the investment option used by Canstar in rating of the Kiwisaver product. The investment performance after fund fees and tax at the highest PIR for each tax year (period ended 31 of March) is shown above. Note that historical performance may not reflect the future performance of funds. Performance information is provided by KiwiSaver Fund Finder (fundfinder.sorted.org.nz) brought to you by Commission for Financial Capability (cffc.org.nz). Performance data may not be available for some products. This is indicated in the tables by a note referring the user to the product provider, or by no performance information being shown. Past performance is not necessarily a guide to future performance; unit prices and fund values may fall as well as rise. Any advice on this page is general and has not taken into account your objectives, financial situation or needs. Consider whether this general financial advice is right for your personal circumstances. You may need financial advice from a qualified adviser. Canstar is not providing a recommendation for your individual circumstances. See our Detailed Disclosure. Not all Kiwisaver products in the market are listed, and the list above may not include all features relevant to you. CANSTAR is not providing a recommendation for your individual circumstances. Click here for additional important notes and liability disclaimer. The Star Ratings in this table were awarded in April 2018. The search results do not include all providers and may not compare all features relevant to you. View the Canstar Home Loan Star Ratings Methodology and Report. The rating shown is only one factor to take into account when considering products. Canstar may receive a fee for referring you to a product provider. Performance, fee and other information displayed in the table has been updated from time to time since the rating date and may not reflect the products as rated. The performance and fee information shown in the table is for the investment option used by Canstar in rating of the Kiwisaver product. The investment performance after fund fees and tax at the highest PIR for each tax year (period ended 31 of March) is shown above. Note that historical performance may not reflect the future performance of funds. Performance information is provided by KiwiSaver Fund Finder (fundfinder.sorted.org.nz) brought to you by Commission for Financial Capability (cffc.org.nz). Performance data may not be available for some products. This is indicated in the tables by a note referring the user to the product provider, or by no performance information being shown. Past performance is not necessarily a guide to future performance; unit prices and fund values may fall as well as rise.